This just in: budgets are not exciting. I concede that your budget and the budgeting process are not the most stimulating part of running your law firm. Nevertheless, the budgeting process can - and should - be an excellent tool to help reveal financial truths about your firm from the past while simultaneously allowing you to set goals and expectations for the coming year. There is no standard, universal method for creating a budget. Each firm should create its budget through a combination of art and science to meet its own unique objectives. Here are a few suggestions for high-level steps that you can use when creating a budget for your firm. Step 1: Develop a baseline of your firm’s financial information to use as a starting point. I typically take the year-to-date actual results and divide by the number of months in that period. For example, if I were developing a baseline for a budget today, I would use my actual income statement for the year-to-date October 31, 2012, and divide by ten months. That number would be my monthly average to use as my baseline. Step 2: Determine your objectives and goals for the budget. Generally, you can take an aggressive, conservative, or realistic approach to creating your budget. In an aggressive approach, you assume that your firm would earn higher revenue and lower expenses which would paint a rosy scenario of your firm’s expectations. A conservative approach, conversely, assumes lower revenues and higher expenses than you anticipate or typically realize. A realistic approach falls somewhere in the middle of an aggressive or conservative approach and should mirror what your actual results have been and probable results will be. I typically use a realistic approach so that any significant variances between my actual results versus the expected numbers from the budget identify potential problems. Step 3: Make informed, logical adjustments to your baseline numbers. In my example in Step 1, I used the year-to-date monthly average as my baseline numbers. In this step, I would analyze my year-to-date financials and strip out nonrecurring or abnormal activity. This helps to explain how your firm actually performed over the past year and how you might need to adjust either behaviors or expectations going forward. For example, if you expected your firm to spend $750 per month on legal research costs but your average monthly cost over the past ten months is actually $1,500, then the budgeting process has highlighted a major discrepancy in your expectations versus reality. Either your expectations were off or your firm’s behavior is off. Either way, your firm has been spending more than you expected on this item. In any event, you have identified a potential problem using your baseline numbers, and you can either adjust your budget to reflect reality or try to change your firm’s behavior. Step 4: Make adjustments to your baseline numbers based on expectations of future events. This step is obviously somewhat speculative. How can you predict what will happen 10 months from now, when you don’t know what will happen next month? While this is true, you can accurately predict changes for some fixed costs. For example, most office space leases have annual escalators. You can include this rent escalator in your budget. Remember, your budget should be a well-reasoned estimate of what will happen in the future. While you cannot absolutely predict the future when engaging in the budgeting process, that should not stop you from engaging in logical or calculated predictions to plan for the future. Don’t let an unattainable 100% perfect solution defeat a sensible 80% solution. Step 5: Develop and implement a regular process for creating your firm’s budget that repeats annually. Your firm needs to document their budgeting process. This may take a bit of extra time in the first year of its implementation, but your firm will become much more efficient and create a much more consistent budget from year to year if the processes are defined, documented, shared, and followed. Remember that a budget is meant to be useful and used. So you should pick it up at least once a quarter, if not monthly, and compare how your firm is actually performing to how you expected it to perform. In this, the season of budgets, my final words of advice are: conceptualize, create, collect, analyze, adjust, improvise, and prosper. 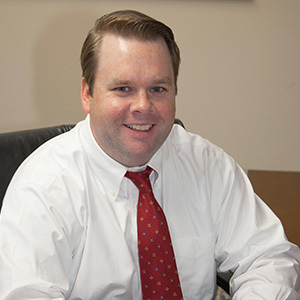 Tom is the Founder and President of Boyle CPA, PLLC and Boyle Recruiting, LLC. Boyle CPA provides accounting and consulting services to small and mid-sized business with a focus on law firms. Boyle Recruiting performs recruiting services for all positions in the legal industry. Visit www.boyle-cpa.com and www.boylerecruiting.com for more information. Tom Boyle is Co-Founder of TrustBooks, web-based software for managing trust activity in compliance with state bar requirements. TrustBooks is simple and intuitive, so trust accounting isn’t intimidating. Prior to TrustBooks, Tom owned Boyle CPA, a CPA firm that provided accounting and consulting services to small businesses with a focus on law firms. TrustBooks offers a 30 day free trial at www.trustbooks.com.